In 2011 Y.G. 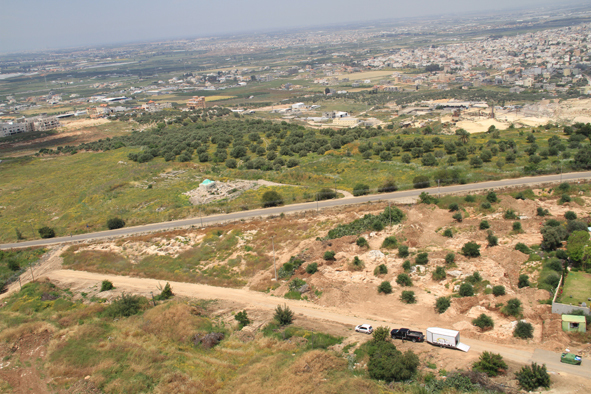 Contract Archaeology was contracted to excavate and record a large area of ancient stone quarries on this hilltop site overlooking the central Coastal Plain of Israel. 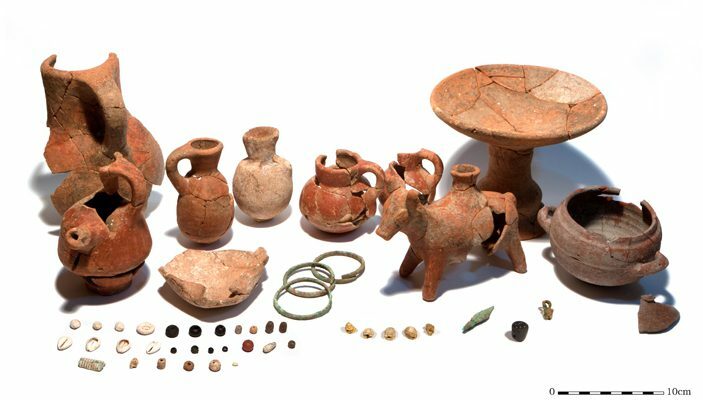 Directed by Conn Herriott, the project was carried out by a mixed team of archaeologists, Hebrew University of Jerusalem archaeology students, and Bedouin workers. 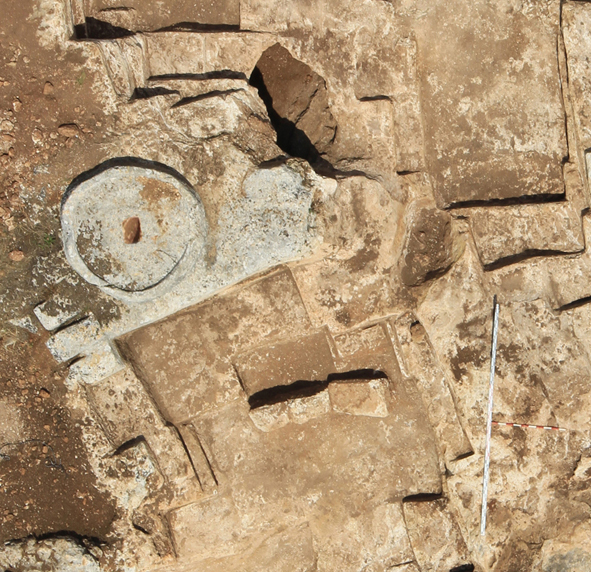 Previous archaeological investigations at Tsur Natan had revealed a variety of prehistoric and later remains. The nari stone quarries which the current project focused on dated mostly to the Byzantine period, when the settlement of Antesion – and associated farms – occupied much of this hilltop. 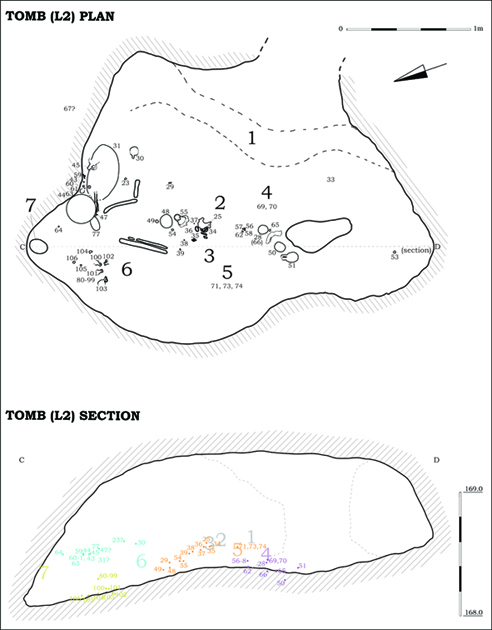 In one of the quarries (F12) we found a tomb which dated to the Iron Age II. At least seven individuals were interred here, along with a rich array of burial gifts – scarabs, beads, shells, bracelets, other metal objects and pottery vessels.